Working to improve the quality and efficiency of logistics. 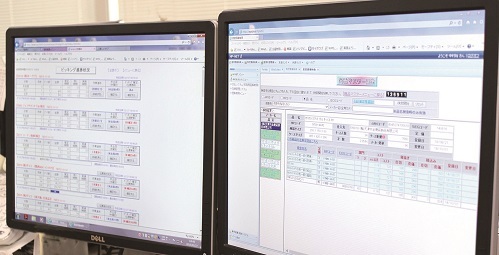 A new warehouse management system (WMS) has been introduced. Logistics innovation in pursuit of greater efficiency. We introduced a new warehouse management system (WMS) to meet our clients' demand for more precise, fast, and reasonably priced products and services. 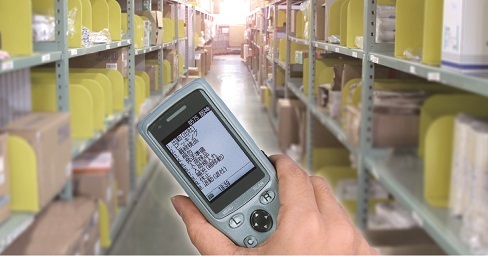 Inventory and operations management can be assured in real time on site, making warehouse operations more efficient and improving speed and accuracy of product delivery. EDI/Distribution BMS have been introduced. These systems make effective global logistics possible. We utilize EDI and the latest BMS and have successfully achieved labor-saving and efficient order receiving operations. These systems enable us to better fulfill our customers’ diversified distribution requirements through faster date exchange between our customers and suppliers. Our English and Chinese-speaking staff conduct direct and efficient procurement from the overseas suppliers. Shop online at Himepla’s APU Shop and Assist One-our online stores also offer a broad range of products.